Share this product and receive a $9.90 sharing discount. Please allow 10-14 business days for processing as this item is cast to order. 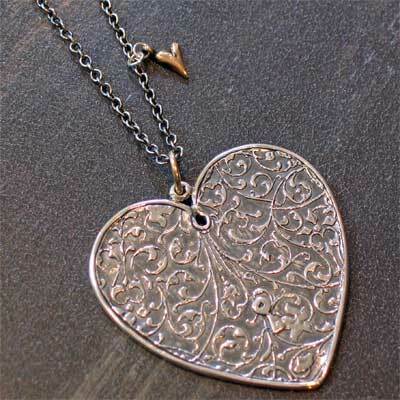 The Heart medallion is made of .925 Sterling Silver. 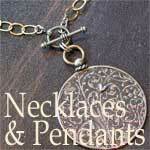 The silver cable-oxidized 2.4mm chain is adjustable from 18"-21". Heart measures approximately 2" x 2".